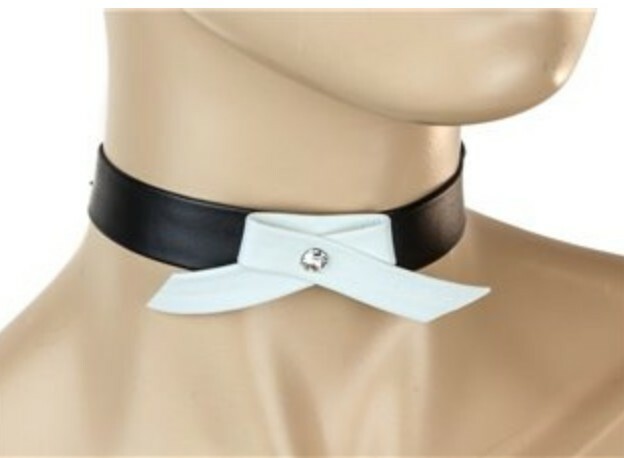 This plain black leather choker, is really dressed up with flair, by a simple knot embellishment. Heart Choker, a great way to accessorize an outfit with a little love. 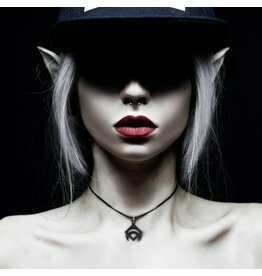 A choker with a rune of summoning ancient beasts of the night sky. Cast your eyes to the sky and start the ritual. New 1/2" wide choker, with a drop down 2" ring.